Condominium Property Regime (“CPR”) refers to the specific form of ownership and governing process created when real property becomes a condominium. The process of creating a condominium is often referred to as “CPRing” property. Condominiums come in many forms and encompass a variety of uses as may be permitted by zoning regulations. Some of the allowable uses by zoning include: residential, commercial, industrial and agricultural. A condominium is a form of ownership of real property regardless of the architectural style of the apartment, be it in a high-rise, townhouse or detached unit. Condominium ownership is described as ownership of an apartment (or unit) and a percentage of undivided interest in the common elements. The apartment owner is entitled to exclusive ownership of the apartment but the land is a common element, owned jointly in common with other apartment owners in the condominium project. Examples of other traditional common elements are lobbies, hallways, roofs and roadways. Yard areas or parking spaces which are provided for an apartment’s exclusive use (versus ownership) are usually identified as limited common elements. The creation and administration of CPRs are governed by Chapter 514A of the Hawaii Revised Statutes (“HRS”). What Property can be “CPR’ed”? 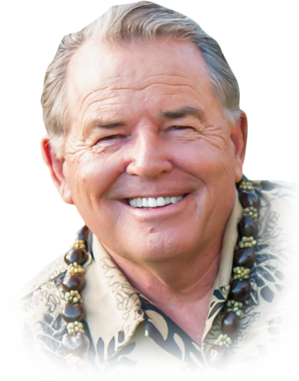 Submission of real property in the State of Hawaii to CPR must be by the owners, including lessees. The project must contain two or more apartments as defined by statute. The number and type of apartments must meet zoning requirements. Therefore, if the project will contain dwelling units, the number of dwelling units allowable is determined by the zoning district. Neither the Real Estate Commission (“Commission”) nor the Counties approve or disapprove what property can be CPR’ed. To verify the allowable uses on the property contact the appropriate county agency. Note the uses are the same whether or not the property is CPR’ed. Provide the County with the Tax Map Key (“TMK”) number or property address to confirm the number of apartments e.g. dwelling units and types of uses permitted and defined by zoning regulation. Contact information is provided on the last page of this brochure. 4) Master deed or lease. The property owner(s) may be the developer of the condominium project. However, if the developer is not the property owner(s), then the owner(s) must acquiesce to submission of the property to CPR by consent and joinder to the Declaration of Condominium Property Regime. It is strongly recommended that the condominium documents be drafted with the advice of an attorney familiar with Chapter 514A, HRS. The statute requires that a Hawaii registered architect or professional engineer certify the condominium map. Refer to Chapter 514A, HRS, and Chapter 107, Hawaii Administrative Rules (“HAR”), for specific requirements. Copies of statute and rules may be purchased from the Cashier’s Office at the Department of Commerce and Consumer Affairs. See the last page of this brochure for contact information. The time required to create a CPR depends on the time it takes for the developer to create and record the required documents with the Bureau of Conveyances or the Office of the Assistant Registrar of the Land Court. Registration with the Commission of all condominium projects is required before any apartment is offered for sale or sold. Any advertisement or attempt of whatever nature used to encourage the acquisition of a legal or equitable interest in a condominium is prohibited until the project is registered with the Commission and an effective date is issued for a public report. Violators may be subject to a fine of up to $10,000 or imprisonment for up to one year or both. A civil penalty of up to $10,000 for each violation may also be incurred. Condominium Registration Packets which include the public report form, instructions, fees and checklists are available from the Commission at no charge. The Commission does not approve or disapprove the condominium project. 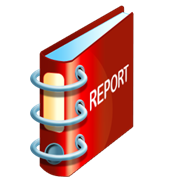 A public report is a disclosure statement intended for prospective purchasers. The statement provides a description of the project, including permitted uses, restrictions, warranties, and encumbrances. 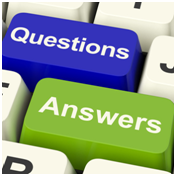 The three types of public reports are: Preliminary, Final and Supplementary. The Preliminary is often used to test market the project. Once the Final receives an effective date, the sales contracts can become legally binding on the purchasers. When a circumstance occurs that would render a public report misleading in any material respect, as may be determined by the Commission, the developer must submit a Supplementary. Public reports are effective for a 13-month period. Extensions may be available for a fee. Time estimates vary, based on completeness of submission, the complexity of the project and the volume of submissions. 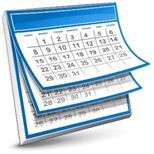 The estimate for the issuance of an effective date for a public report is approximately six to eight weeks from submission of a complete registration file to the Commission. The Association of Apartment Owners (AOAO) is the governing entity created by the CPR. Each condominium association of six or more apartments is required to register annually with the Commission. The registration form may be obtained from the Commission. See the last page of this brochure for contact information. 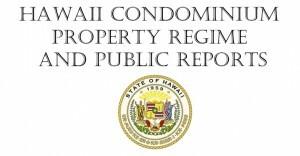 Inquiries regarding the number and types of structures and uses permitted on a particular property should be directed to the appropriate county department in the county where the proposed condominium project is located: County of Kauai, Planning Department, 4444 Rice St., Suite A473, Lihue, HI 96766 ph. (808) 241-6677.